I'm talking about white-tablecloths-and-a-great-wine-list dining out. Last night was my ninth wedding anniversary. We decided this year to include our five year old in the festivities. Why? Well, I thought it would be nice for her and honestly, if I didn't spend a heap of money on a babysitter I could eat more lobster, right? We went to Court Street in Hoboken, a family run affair with a bar in the front and a pleasant, unpretentious dining room in the back. 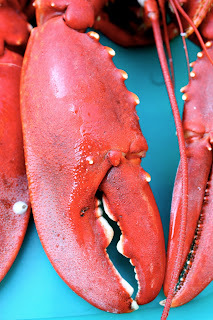 Did I mention that Wednesday's are Lobsterfest? To keep the munchkin entertained I had brought along a little coloring book, and that worked for awhile. I sipped champagne, my husband had an excellent white wine from Napa and we exchanged cards. But this was a meal with several courses, so I needed something extra up my sleeve to keep the kid placid and entertained. Enter MudPuppy. This company makes some great items, including these self contained, totally cool magnetic sticker sets. You open the metal case and inside are two background cards (reversible) on which you can design and re-design scenes with your magnet stickers. We were first introduced to these a few years ago when my daughter had surgery. Her godmother bought her a set of these magnets (the dress up dolls version) so she'd have something to keep her busy while she recovered. Since then we've toted that set all over the place - to graduations and weddings, airplane rides and long car trips. I usually keep the set hidden away, so it is somewhat of a novelty when she sees it. We've used it so much that the metal case is bent. Now she has a new set - the Robots one. She practically screamed when she the box. And we ate in peace. So, to sum up: Court Street has a lobster night, terrific french fries, and your anniversary CAN be shared with a five year old. Just bring along some robot friends to help. I am a journalist and mother. 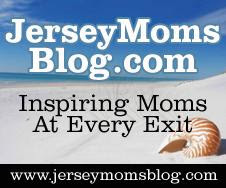 The Beanstalk is all about helping local North Jersey moms raise great kids in the Garden State.